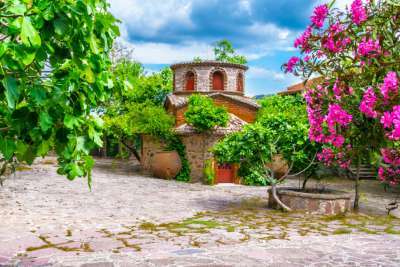 We’ve all heard of the party island of Crete, the magical sights of Santorini, and the rich history of Rhodes, but with so much attention focused on these more popular Greek destinations, we’ve let a lot of hidden gems slip through the radar. And while we love a holiday to lively Corfu, and a trip to the famous shipwreck beach of Zante, it’s the lesser known spots in Greece that we’re really starting to crave. With secluded beaches, tavernas filled with locals, and a lot more space to roam free, here are our favourite Grecian locations. 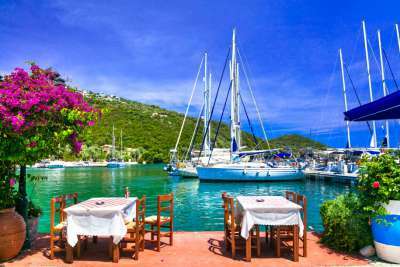 Unlike some of its neighbours, the island of Thassos has managed to keep most of its Greek authenticity over the years. Known as the Emerald of the Aegean, Thassos is renowned for its lush green scenery, mountainous landscapes, crystal clear waters and its traditional towns and villages packed with delicious tavernas. You'll not find a crazy nightlife scene here on this island, but with so much beauty around to absorb, and so many local delicacies to try, we don't think you'll be missing out at all! For a true taste of Greece, why not head to unspoilt Lemnos for your next holiday? 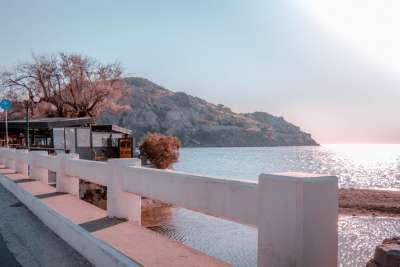 Due to being quite a distance from Athens, the island of Lemnos doesn't attract the hordes of tourists that some of the other Greek islands do. This means quiet, secluded beaches, and plenty of them to go around! There's also a great opportunity for windsurfing here with many of the beaches benefiting from strong winds in certain parts of the island. If that's not up your street though, there are several local villages and towns to explore, all with a truly traditional feel to them. Home to many of the stunning scenes and sets for the fantastic Mamma Mia! 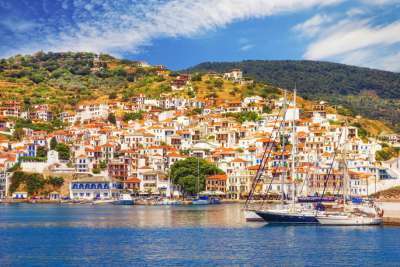 film, Skopelos has lots to offer visitors when it comes to natural beauty. Throw in sparkling turquoise waters and plenty of beaches and you're pretty much in a Grecian paradise. After soaking up all the wonderful surrounds, head into Kastro, the old quarter of Skopelos Town set on a high hilltop, where you can find a range of bars and restaurants to enjoy an evening in. Only an hour ferry ride from historic Athens lies the small pair of islands of Poros. One a rocky volcanic formation named Sphairia, and the other, Kalavria, scattered with pine trees and shrubs, the two are easy to pass between via a small connective bridge. 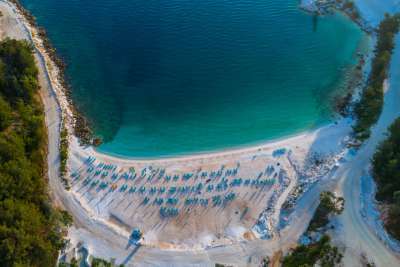 The beaches of Poros are one of the main draws to this relatively unknown island, with the romantic cove of Love Bay being one of the very best. Here visitors can swim underneath the lush greenery whilst soaking up the Grecian rays and surrounding beauty. 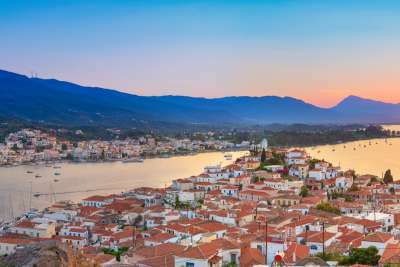 For those looking to explore, Poros also has quite the history and a trip to the north part of the island to see the ruins of Poseidon’s Temple are well worth it. One of the Ionian chain of islands, along with the likes of Corfu, Kefalonia and Zante, poor Lefkas gets forgotten about a little, despite it being connected to the mainland by a small strip of land. But perhaps that's not a bad thing. Unlike some of its neighbours, Lefkas remains in a similar state to how it was many years ago, and a popular hiking or walking trip around the island will show you just that. Head to former fishing village and biggest resort, Nidri, for authentic fish tavernas and a lively night out in the local bars. 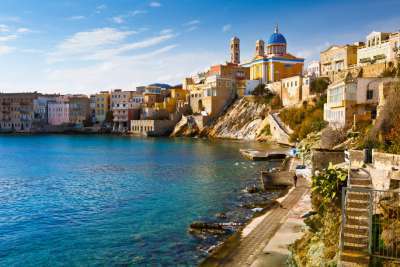 With a combination of Venetian and Cycladic architecture, Syros merges together both the traditional and modern styles and influences of Greece, making it a pretty unique place to visit. Yet for some strange reason, many do not. Ermoupoli is the island's capital town and is quite honestly one of the most visually spectacular ports in the whole of the Mediterranean, and therefore well worth a visit. As for the beaches, head north for secluded and quiet surrounds with stunning views. With a small population of around 2,500 people, tiny Paxos is most commonly reached by sea from neighbour, Corfu. Despite being only seven miles long and three miles wide, it certainly makes up for its size with over 30 beaches and crystal clear waters all round for tourists to enjoy. 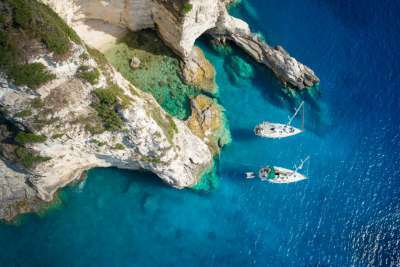 Gaios is the main village in Paxos, and during the high season experiences quite a buzzing nightlife. There are also plenty of restaurants and tavernas to choose from offering a range of Greek delicacies, such as meze, tzatziki and tasty souvlakis. Despite being Greece's third largest island, Lesbos has somehow managed to remain virtually untouched by tourism. And we are certainly not complaining! Visitors can head to this Aegean gem for a spot of peace and quiet and tranquillity, something that you can't get on every Greek island. Emptier beaches can be expected here in Lesbos, as well as lush green unspoilt surroundings and a more traditional feel. There are many olive tree-filled fields further inland with the production of olive oil being one of the island's most important industries, so expect to sample a lot of it during your stay! 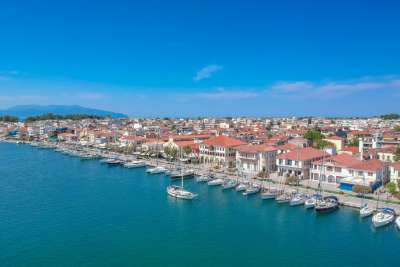 With all the gorgeous Greek islands dotted about, many forget about the equally impressive mainland, which is exactly where Preveza is located. Along the northwest coastline, and part of the Epirus region, the white sand beaches of this town go on for around 35 miles and offer crystal clear waters and an abundance of beach activities. Away from the sands are historical buildings such as Venetian castles and monasteries, museums, and come evening, an exciting local nightlife to experience. Last, but most definitely not least, is the pretty little island of Skiathos. With more than 50 beaches, Caribbean-style waters and emerald-green scenery, it really is a Greek island worth visiting. For the best, and most sandy beaches, visitors should head to the south of the island. There are many to choose from, but the bay of Koukounaries and the beach of sleepy village, Troulos, are some of the very best. 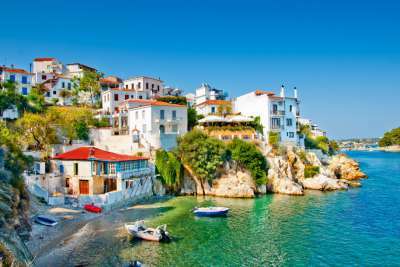 Skiathos Town is also a must-visit when holidaying here. Packed with traditional whitewashed Grecian buildings, fantastic shopping and a wide selection of restaurants, you certainly won't be disappointed.